What a pleasure to walk his dog boutchou wooden Doggy. This cute Doggy 24 cm long. 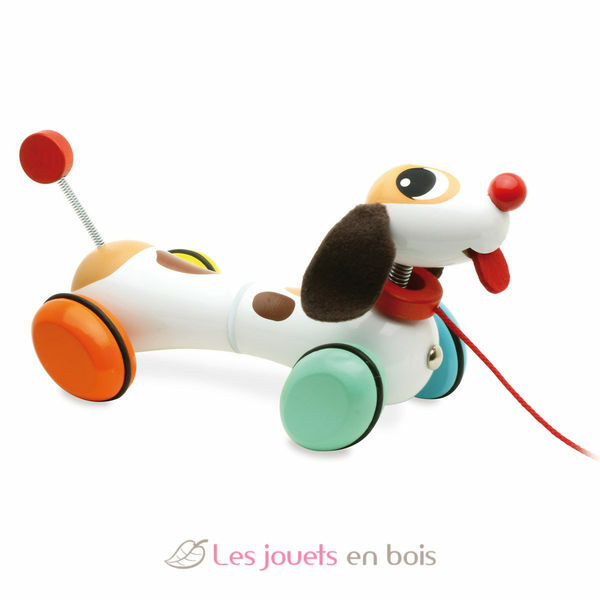 Doggy the dog pull toy, a hanging wooden toy made ​​in France, in the Jura, the company VILAC, item number 1709.